Updated Sunday December 2, 2018 by Greenwich Village Little League. We are gearing up for the baseball/softball season and its official kickoff on Opening Day, April 6th at Pier 40. To make it a success, we need your help! GVLL is an all-volunteer organization, and this is a particularly great opportunity for those of you who may not want to volunteer on the field to do their part. While we enlist a production company to produce the actual "show", we need lots of adult volunteers to help set up, assemble goodie bags, direct players and families to the their teams' locations, hand out materials, and generally wrangle. This is where you come in! We will be creating three shifts of volunteers to spread the load with these basic responsibilities. Each Crew will have a leader to organize assignments, etc. Please click through to the Sign Up Genius to tell us where you can help. In addition, the Opening Day Committee is looking for a few volunteers to join us to help organize and run all aspects of the event. We particularly need people with background in organizing and running events and production who can get more involved. If this sounds like you, please email us directly by replying to this email. 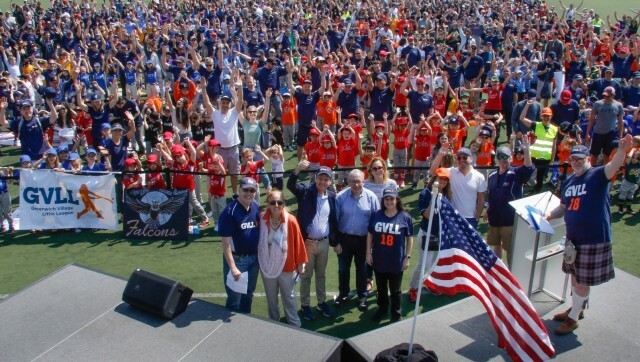 Thank you in advance for doing your part to make Opening Day 2019 a raving success!